Another repeat customer! This client puts on AMAZING parties! She must spend the whole year getting ready for the next one. 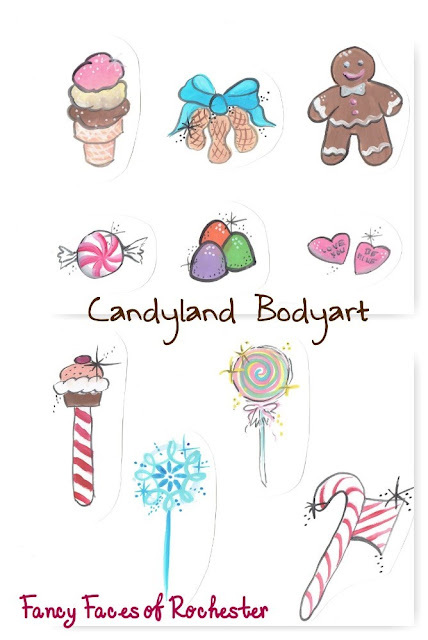 This year's had a Candyland theme, so I took the time to come up with 5 new full face designs and a sheet full of cheekart choices based on the graphics and characters of the game. The client was thrilled! I was delighted with all of her decorations... giant lollipops and candy bars adorned the lawn, the garage, and the walls of the house. Everywhere I looked was more creative Candyland decorations. 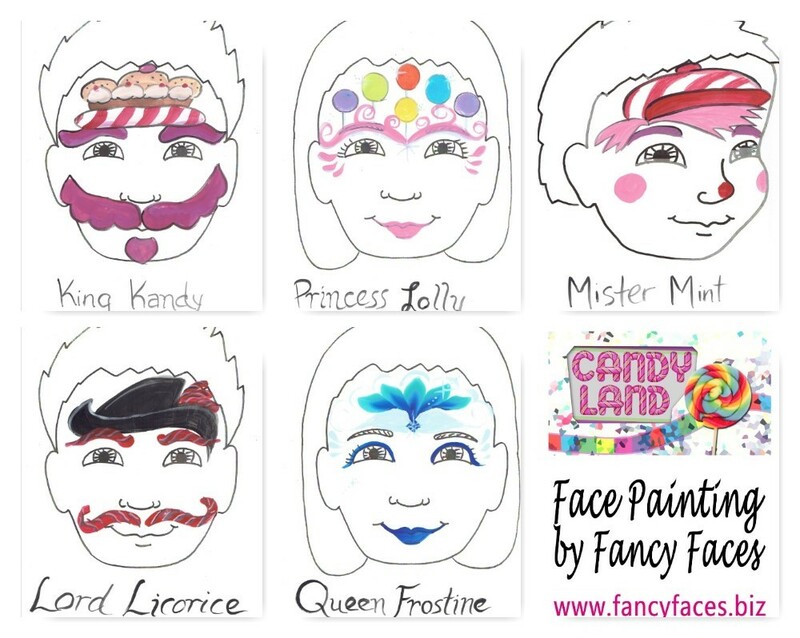 Many of the kids chose the Candyland faces I designed. As I was finishing the last one, the treasure hunt began and led the happy guests to the secret Candlyland castle, completely covered with candy. 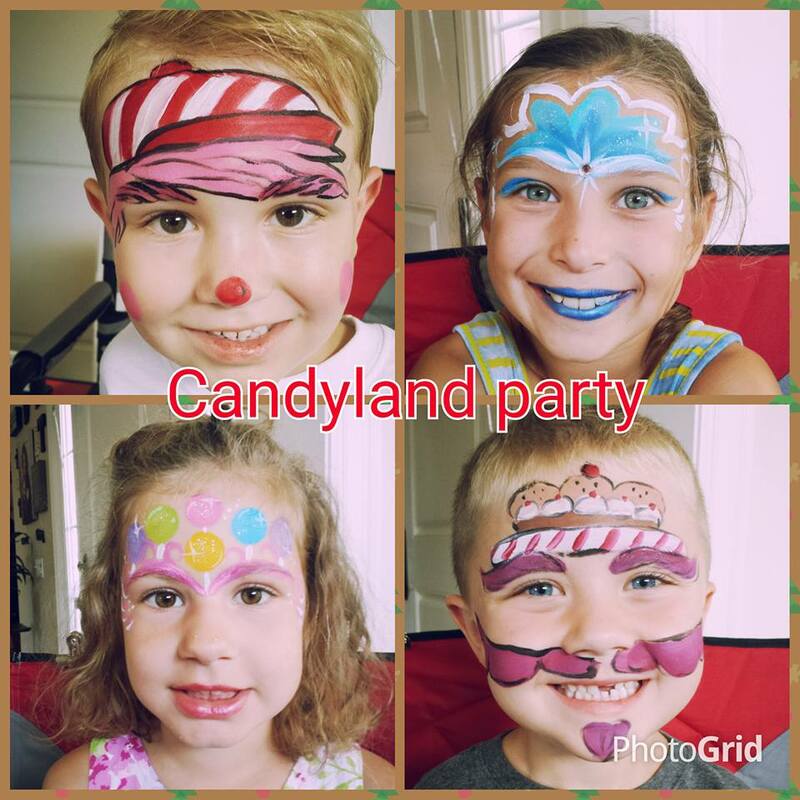 Everyone filled their goody bags with candy treasures and went home happy. It was an unforgettable event.